Background: The p21-activated kinases (PAKs) belong to the group of serine/threonine protein kinases and are subdivided into two groups, PAK1-3 (group I) and PAK4-6 (group II), based on sequence similarities and an autoinhibitory domain which is present in group I, but not group II PAK. 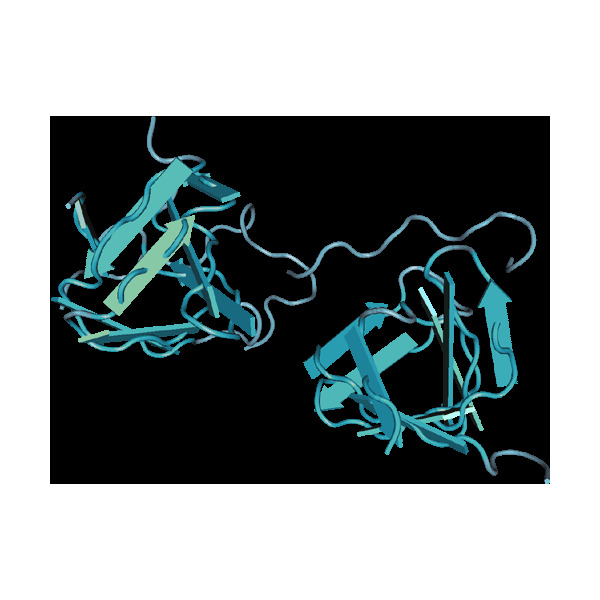 Group 1 proteins are reported to be the primary effectors of the small GTPases and are activated when bound by the activated form (GTP-bound) of CDC42 and Rac1. PAKs in general have similar structural organization, including an N-terminal regulatory domain containing a p21 binding domain (PBD) and an auto-inhibitory domain (AID), and a C-terminal catalytic domain. PAK3 is the only group I member whose expression is relatively restricted to neurons whereas PAK1 is highly expressed in the nervous system but also in other tissues. PAK1 and PAK3 proteins can form heterodimers allowing a trans-inhibition of the catalytic activity of the splice variant PAK3a but not of the PAK3b coordinating PAK signaling to synchronize actin polymerization and spine stabilization. PAK3 has been implicated in the pathogenesis of intellectual disability and mutated forms of PAK3 or downregulation of PAK3 lead to morphological spine abnormalities, including an increased proportion of thin, immature spines. Combeau G1, Kreis P, Domenichini F, Amar M, Fossier P, Rousseau V, Barnier JV. (2012) "The p21-activated kinase PAK3 forms heterodimers with PAK1 in brain implementing trans-regulation of PAK3 activity. "J Biol Chem. 2012 Aug 31;287(36):30084-96. Dubos A1, Combeau G, Bernardinelli Y, Barnier JV, Hartley O, Gaertner H, Boda B, Muller D. (2012) "Alteration of synaptic network dynamics by the intellectual disability protein PAK3. "J Neurosci. 2012 Jan 11;32(2):519-27.